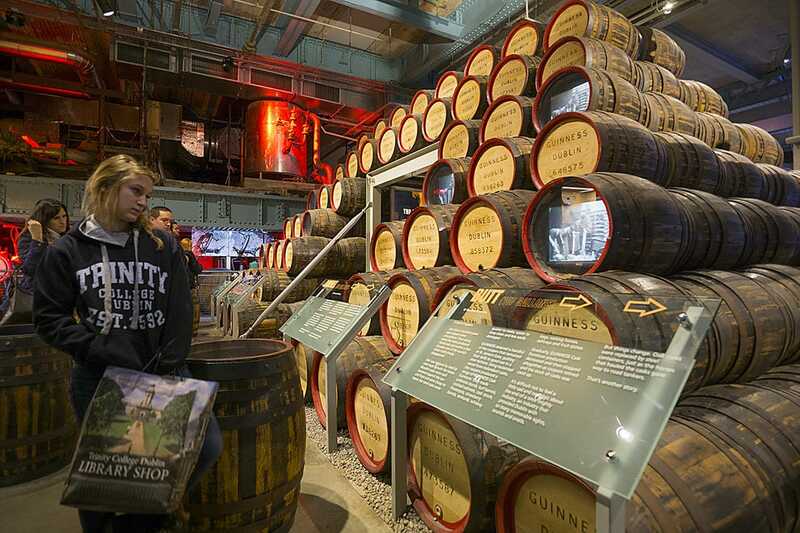 True, the Guinness Storehouse tour at St. James's Gate Brewery is a popular tourist attraction in Dublin. But far from a hackneyed tourist trap, the tour explores not only the involved process of creating Ireland's most iconic export, but also Arthur Guinness' contributions to the city of Dublin and a bit of Dublin history. It also offers the best view of Dublin and even a pint of the Black Magic to boot. 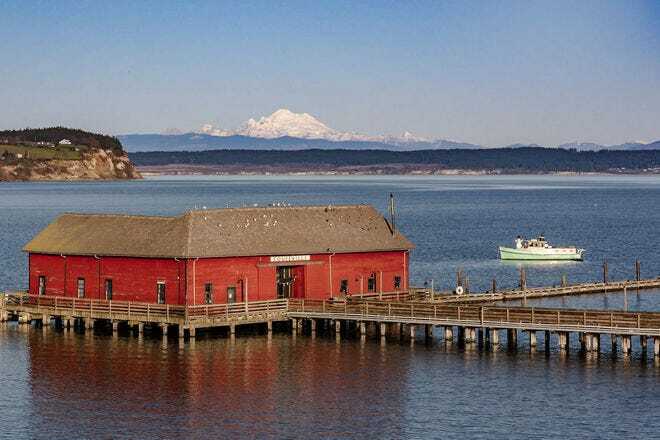 The original fermentation plant here was operational from 1904 to 1988. It was in this building that yeast was added to the wort. But this building was replaced by a new fermentation plant that opened near the River Liffey, and so it was developed into a visitor center in 2000. 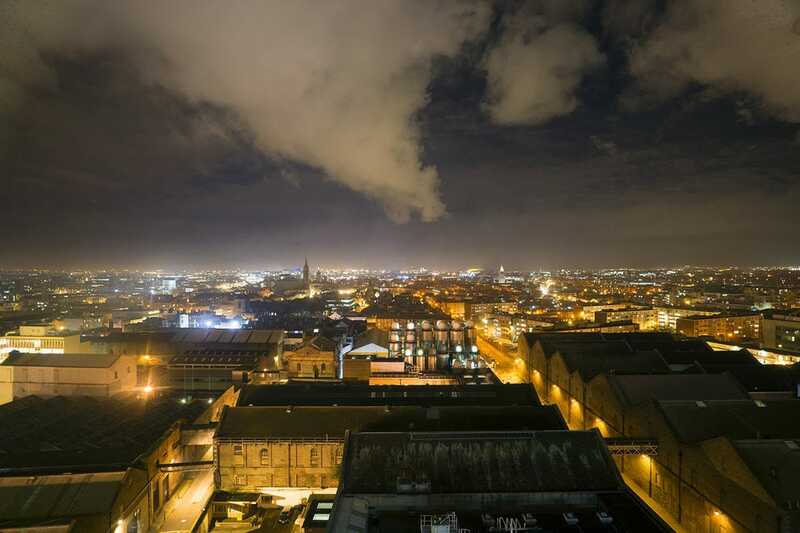 Constructed in 1902, it was the first multi-story, steel-framed building in Ireland. Today, within the seven-story building is an inner atrium in the shape of a Guinness glass large enough to hold 14.3 million pints! Visitors purchase tickets on the lower ground floor, which retains the atmosphere of a working fermentation plant, and then they travel to the upper floors via elevator or stairs within the center atrium. 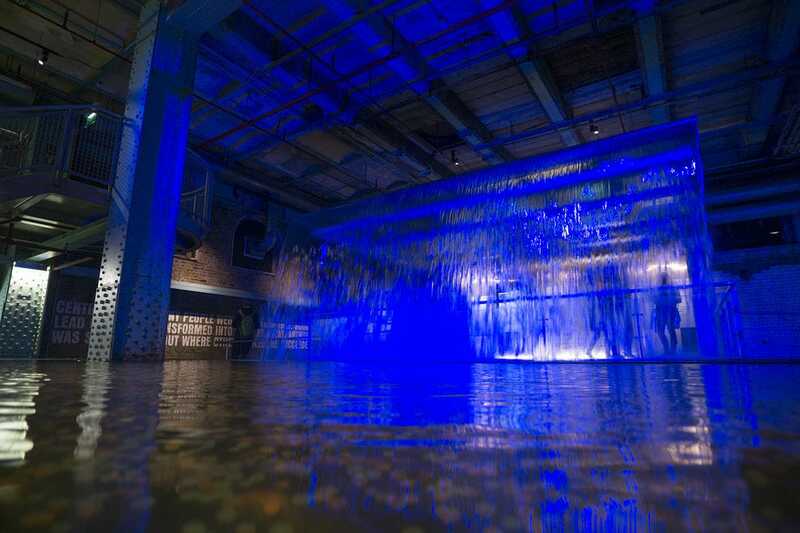 Each floor takes visitors through a different aspect of Guinness beer and its brand. 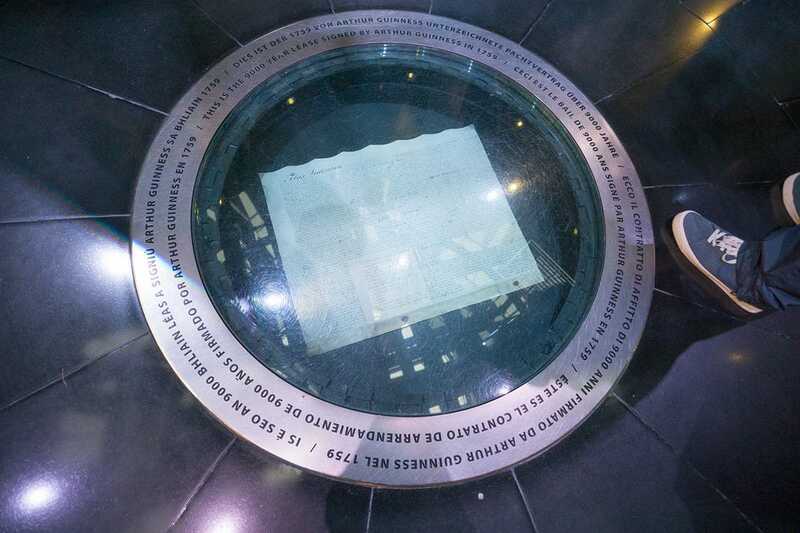 On the ground floor, at the bottom of the "pint glass," the 9,000-year contract for the property signed by Arthur Guinness on Dec. 31, 1759, is displayed in the floor, ensuring that Guinness will be produced in the surrounding buildings until at least the year 10,759. On the ground floor, the four necessary ingredients for making beer are introduced: water, hops, barley and yeast. Here it's explained that the particular strain of yeast in Guinness is directly descended from the yeast Arthur Guinness himself used; that the specific way the barley is roasted gives Guinness its famous dark color; and that the female hops used are specifically grown for Guinness. Did you know that twice as much hops are used in Guinness as in most other beers? Or that the water used in Guinness comes from the Wicklow Mountains, located an hour south of Dublin? Now you will. On the first floor, the steps for preparing and combining the ingredients to make Guinness are detailed. Guinness used to be transported in oak barrels, and the art of cooperage is explained. It may sound like a snoozer, but the video here of a master cooper making a barrel usually attracts a fascinated crowd. Guinness employed its own coopers, and when metal kegs eventually replaced wooden barrels, the coopers were kept on until retirement to make furniture out of the old barrels. Visitors also learn that nitrogen is added to Guinness Draught, which give Guinness its signature texture and head, while carbon dioxide is used in Guinness Foreign Extra Stout. 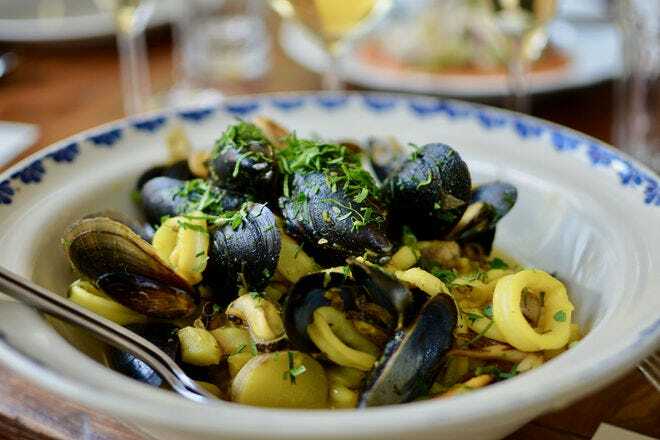 Tasting begins on the second floor, where the "Taste Experience" introduces visitors to the aromas of property-prepared ingredients through atomizers. Visitors can sample a small glass of Guinness, as an expert explains the tastes and textures contributed by each ingredient. The third floor goes through Guinness' famous advertising campaigns, which created such slogans as "Lovely Day For A Guinness," "Guinness is Good For You" and "My Goodness, My Guinness." 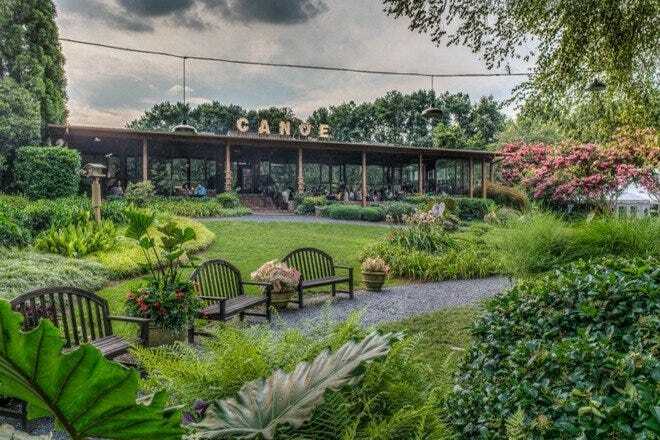 Visitors may insert themselves into vintage ads and pose for photographs on one of the life-sized sets. Artifacts from Guinness' history displayed here include the remains of a German bomb that tore through the Guinness transport ship S.S. Carrowdore in 1944. On the fourth floor, visitors learn to pour the perfect pint of Guinness at the Guinness Academy, and they even earn a diploma upon proper completion. Gilroy's and Brewer's Dining Hall restaurants on the fifth and sixth floors pair Guinness with contemporary and traditional Irish fare, and Arthur's Bar brings a traditional Irish pub experience to the tour. 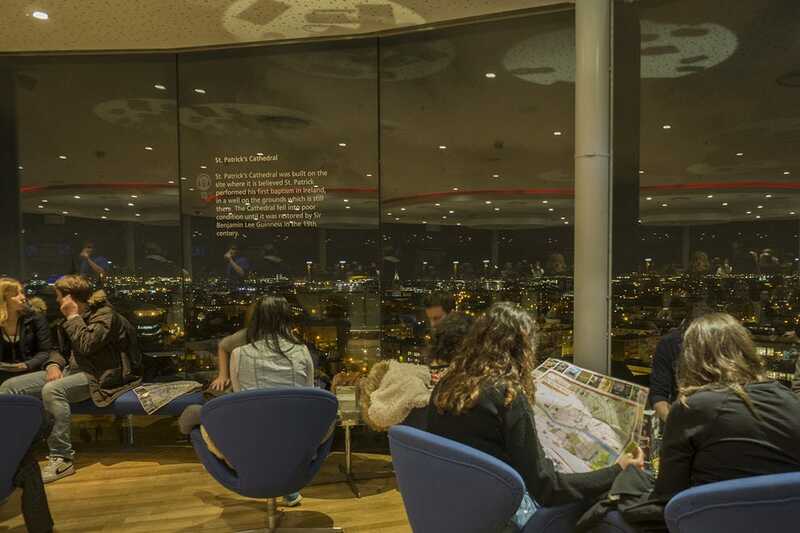 Visits to the Guinness Storehouse culminate at the Gravity Bar on the seventh floor, where a 360-degree view of Dublin is enjoyed while sipping a pint (or a soft drink, for those under 21). Text on the large windows mark Dublin landmarks, such as Trinity College and St. Patrick's Cathedral. Guinness Storehouse is open daily from 9:30 a.m. to 5 p.m., except in July and August, when it's open until 7 p.m.
Tickets cost €18 per adult, and booking online at the Guinness website can save visitors 10 percent. Family, student, senior and children's rates are available as well. 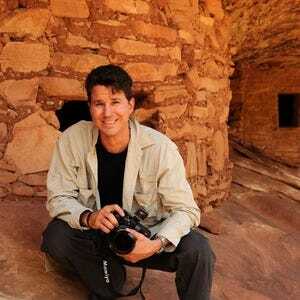 10best.com travel expert Steve Larese enjoys "researching" beers from around the world. His website is stevelarese.com. Read more about Steve Larese here.